If you have a website and it does not appear in the first 10 results of the search Engines, then you are probably weak on the search engine optimisation part. At Webcreaters, we help you to boost your business by providing the best search engine marketing service. We consistently improve your website so that its search engine ranking is automatically improved. We provide a transparent service and you would see the results soon from the start of the process. We have a team of the best SEO experts in India who would guide you through the process of social media marketing. Contact us today to avail our services. You can measure the growth of your company by its rankings in the search engines. 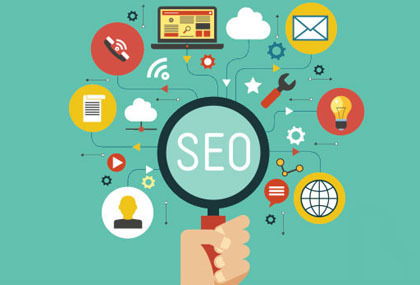 Our SEO experts team strategy start from on-page and off-page optimizations to boost your site's organic traffic and improved google ranking. We are acutely aware of the continuously evolving nature of SEO, SMO and online marketing. Our consultants focus on providing the absolute best for our clients. When you hire us as your SEO firm, you're not just getting an agency - you're getting a partner. We truly believe that the only way we win is when you do, which means we're diving head first into the data each and every day to make sure you're getting the best return on your investment. We are top-to-bottom digital. We are marketers and tacticians as much as techies and data-crunchers. We are left brained as much as right brained. We are locally rooted as much as globally connected. Most probably, you have already come across our work without even noticing it. It's right there in front of you, or in your hand, or in your pocket. It's creating some kind of radical transformation for one of our clients. It's bringing some communication to life. We are right here, right now. And so are you. Let's drive the future of digital.